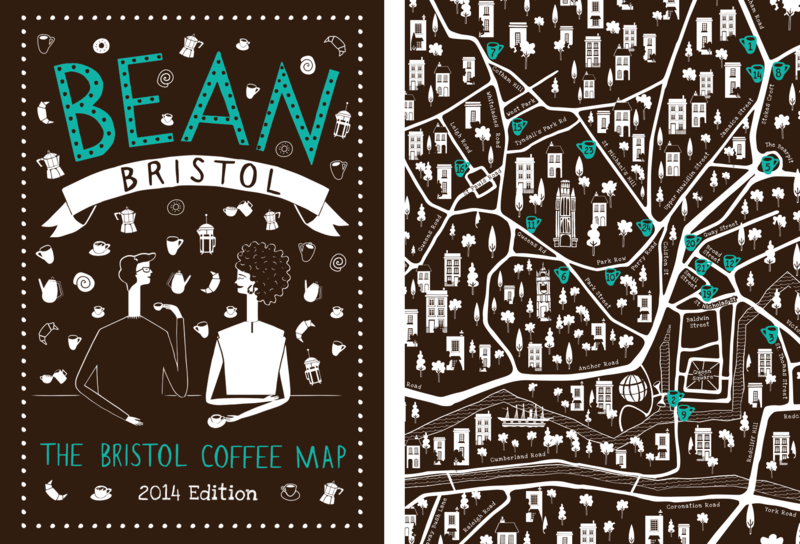 Bean: The Bristol Coffee Map, was a studio project in celebration of coffee, Bristol and the art of print design. 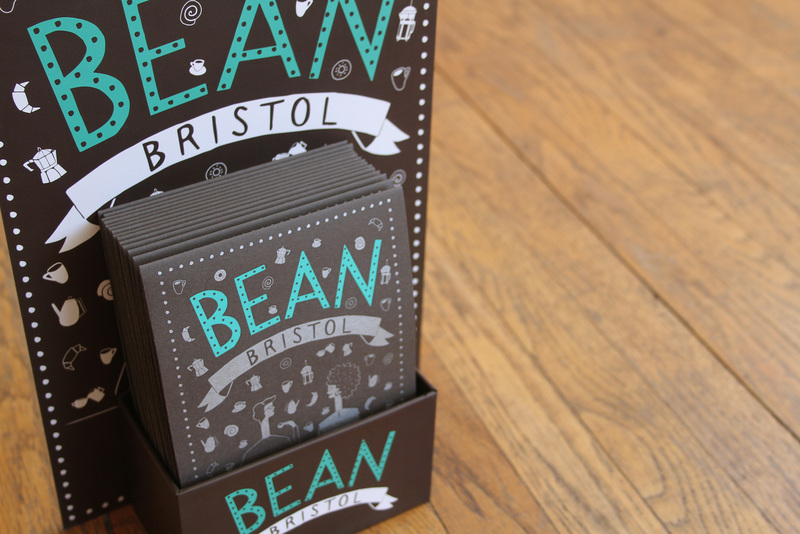 Working with a small team of coffee aficionados, we spent 9 months touring Bristol’s cafés and meeting the city’s talented baristas. The final result a beautiful illustrated piece of tactile print. The map itself is lithographically printed by Zone in silver and over-silk screened in turquoise. 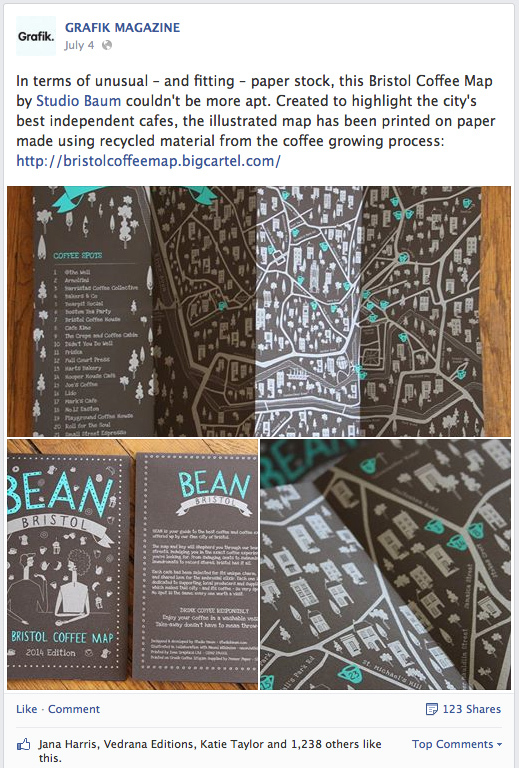 It’s produced on Crush Coffee 120gsm, a stock from Fenner Paper that uses post industrial waste from the coffee making process. Pretty cool huh?! The project was illustrated in collaboration with talented local illustrator Naomi Wilkinson.